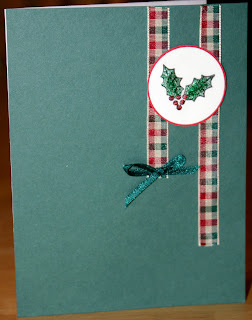 I made this holly card for two challenges. 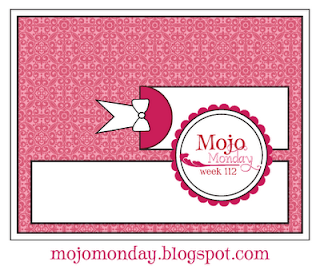 The first is this weeks challenge for Mojo Monday week 112. The challenge was to create a card using the sketch provided. To make my card I flipped the sketch. The other challenge that I made this card for is the Digi Day Challenge #1 at the Sweet & Sassy Stamps forum on the SNR Card Universe. The challenge was to create a project with holly on it. I chose to stamp a simple image of holly using a holly stamp by Rubber Stampede. Then I added Studio G glitter glue to it. oh my GOSH this is stunning. The simplicity of it is remarkable.....I love your take on this sketch...oh by the way your music is delightful too! Oh So Simple... I love it!! This is darling. So many times we over-complicate things. I love how you kept it simple.